Tom was born in New York City. He attended New York State College where he specialized in electrical technology. He spent 2 years in the U.S. Army Signal Corps and moved to Los Angeles, where he attended California State University graduating in engineering. He worked for several engineering companies, such as Xerox, General Dynamics and Hughes Aircraft. 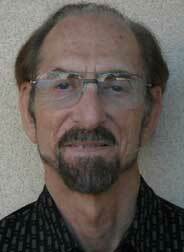 He and his wife subsequently moved to San Diego, where he worked for General Atomic and General Dynamics. He obtained a masters degree in business administration from Pepperdine University while working for General Dynamics. During nights and weekends, he studied human height and its relation to longevity and physical performance based on the laws of physics. He started publishing on this subject in 1974. In 1994, he became a full-time researcher on the ramifications of increasing human body size. Tom walks over 6 miles on Sundays and exercises in a fitness center three times a week. He follows a plant-based diet. In his youth, he was 5’10” and 150 pounds. Today he is 5’9” and 150 pounds. Administrative VP of the San Diego Independent Scholars.This multidisciplinary organization consists of academics and researchers in a variety of fields, such as science, literature, the arts, the humanities and mathematics. It was founded in 1982 and was part of a movement that originated in New York City in 1975 to support unaffiliated scholars. Samaras is also a member of The World Public Health and Nutrition Association, Union of Concerned Scientists, Washington Academy of Sciences, the Quakers Friends Society and a variety of health, environmental, and wildlife organizations. Tom has lectured at the 9th International Symposium on the Neurobiology and Neuroendocrinology of Aging, the San Diego Independent Scholars, University of Wisconsin, and several other groups.